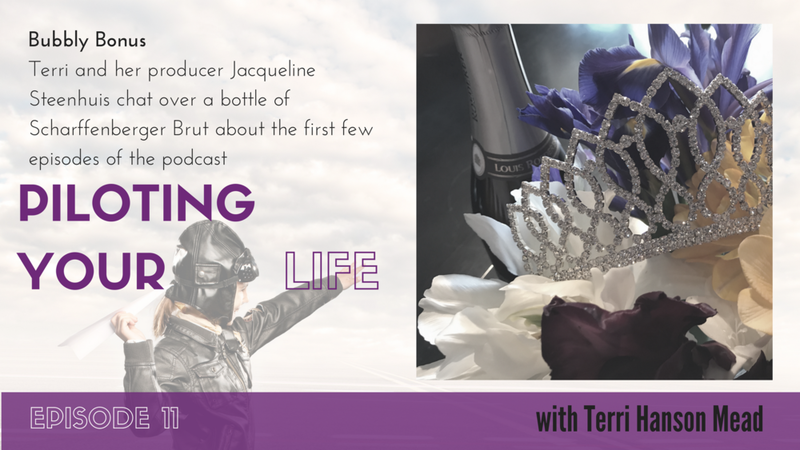 Terri and her producer Jacqueline Steenhuis chat over a bottle of Scharffenberger sparkling wine and discuss the first seven episodes of Piloting Your Life, embracing who you are in the world, emotional labor, and the importance of taking risks to live a bold and beautiful life. What is the Bubbly Bonus? It is important to take risks to live a bold and beautiful life.